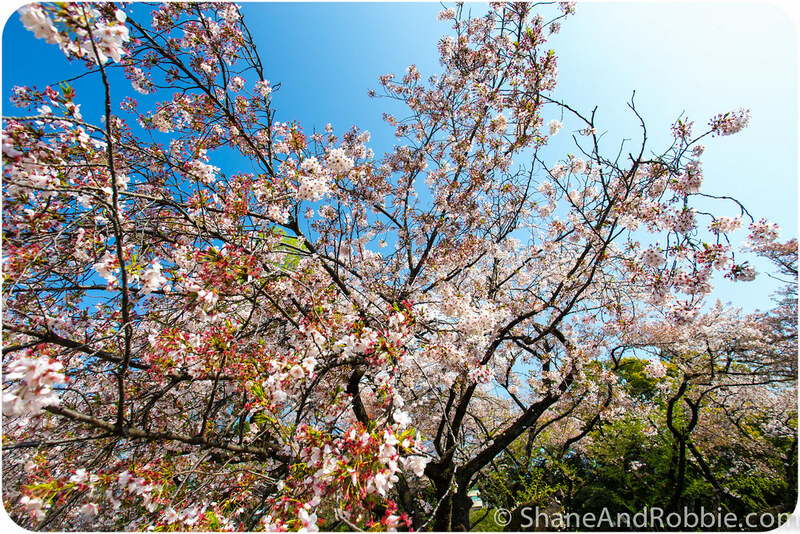 We awoke this morning to a warm, sunny spring day here in Tokyo – the perfect kind of day to go hanami (i.e. flower viewing)! 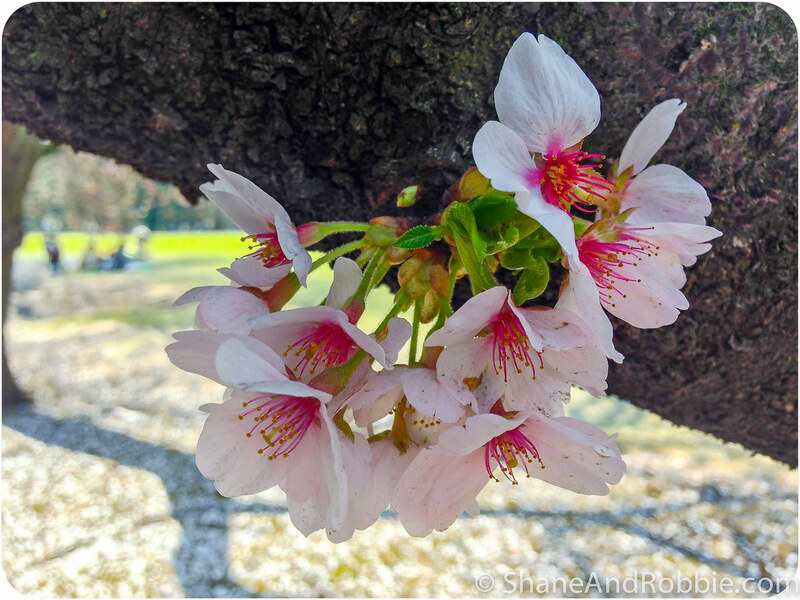 Hanami is serious business here in Japan, with thousands of locals visiting parks during spring to hold flower-viewing parties and celebrate the coming of spring*. 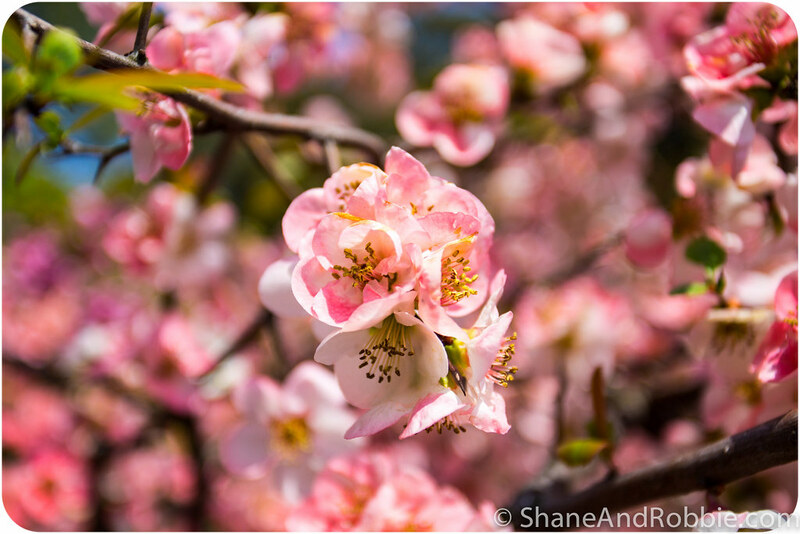 So important is hanami here that the Japanese Metereological Agency tracking the sakura zensen (i.e. cherry blossom front) as it moves North. The flowers appear as the warmth of spring tracks its way northwards, starting in Okinawa in late January and reaching Tokyo around early April (hence the timing of our visit). It then takes another 2 months for the spring bloom to reach the northern-most reaches of Japan; as we discovered last year during our visit to Hokkaido, spring doesn’t touch the frosty North of Japan until June. 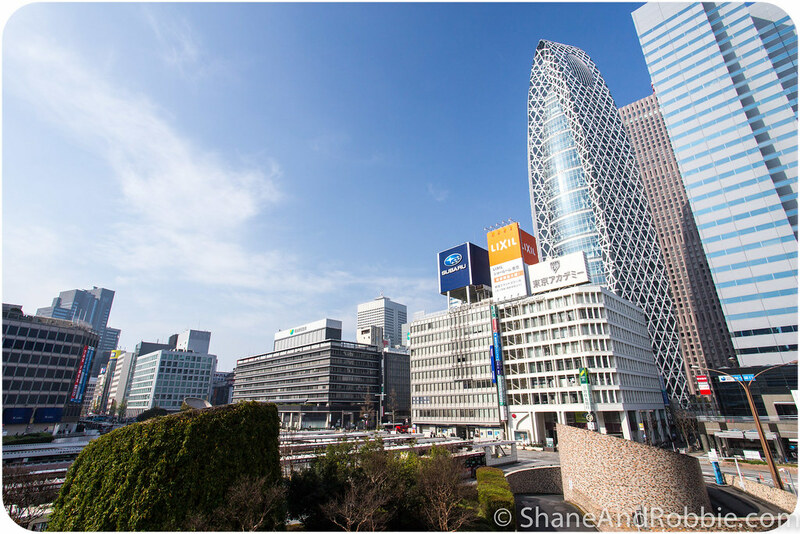 Seems we timed our visit perfectly this year, with the sakura zensen striking Tokyo just last week, and the white and pink blush of fresh cherry blossoms being in evidence all over the city. 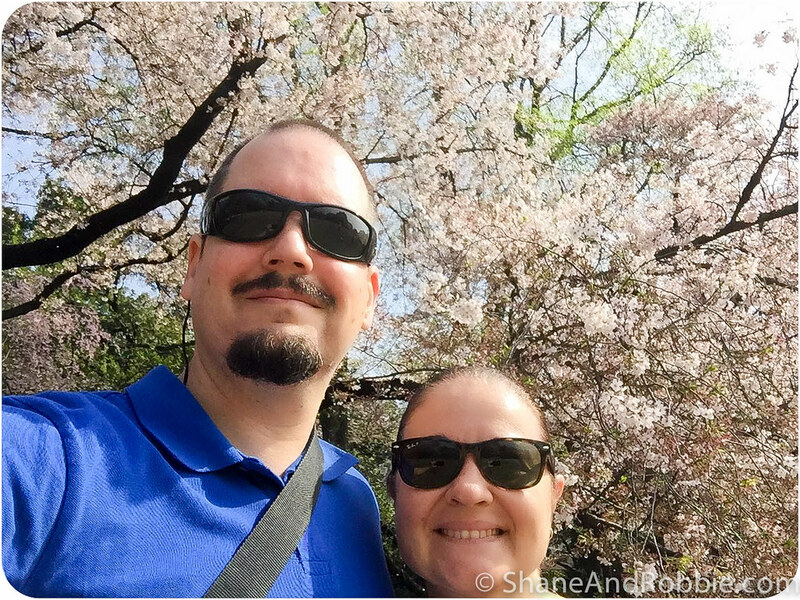 We spent our morning wandering through Shinjuku-gyoen, enjoying the sight of hundreds of cherry trees in bloom and marvelling at the carpets of petals covering the ground. No doubt thousands of haiku (i.e. 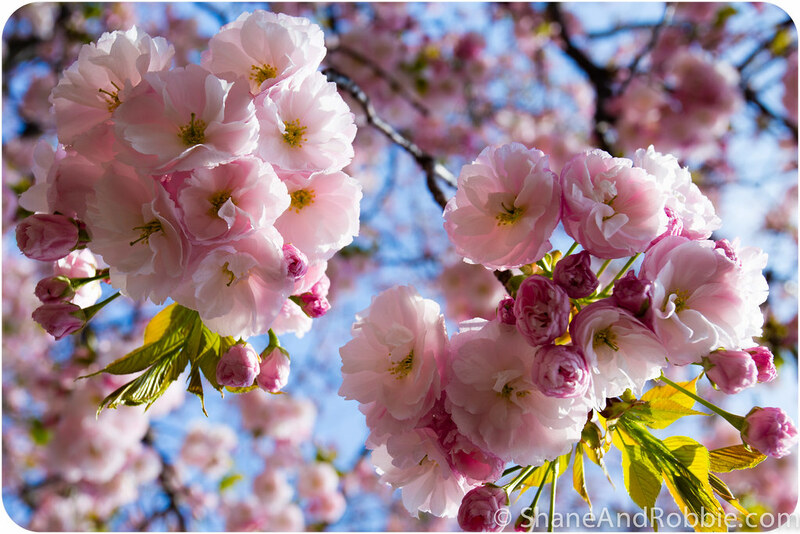 traditional Japanese poems), sonnets and verses have been penned about the beauty of cherry blossoms, and today we understood why. 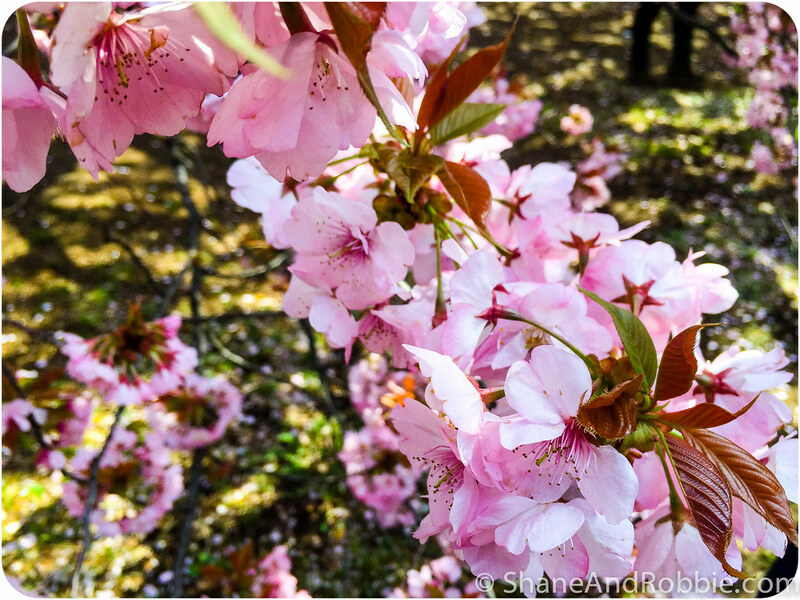 There is nothing quite like standing under a 150-year old cherry tree as the cool spring breeze wafts across the grass and hundreds of flower petals rain down all around you. 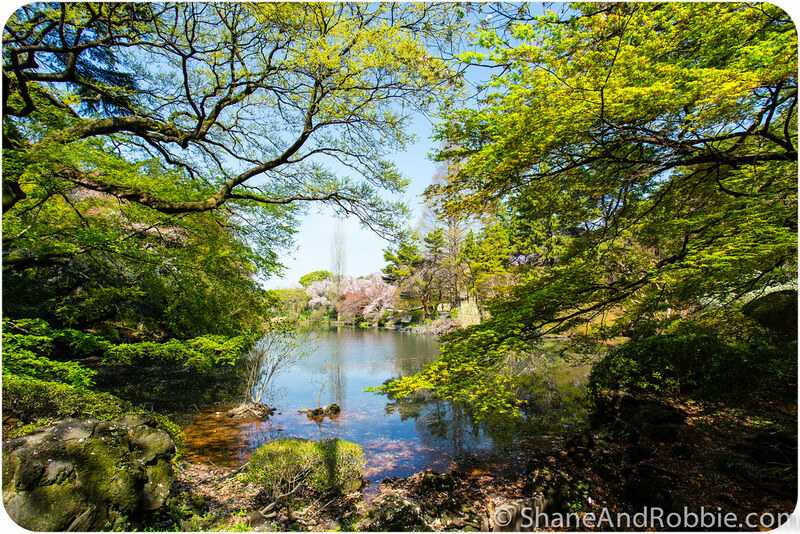 Or seeing pink and white cherry blossoms reflected in the waters of a still pool, while the koi fish swim along just under the surface. It’s enough to inspire anyone to poetry and prose! 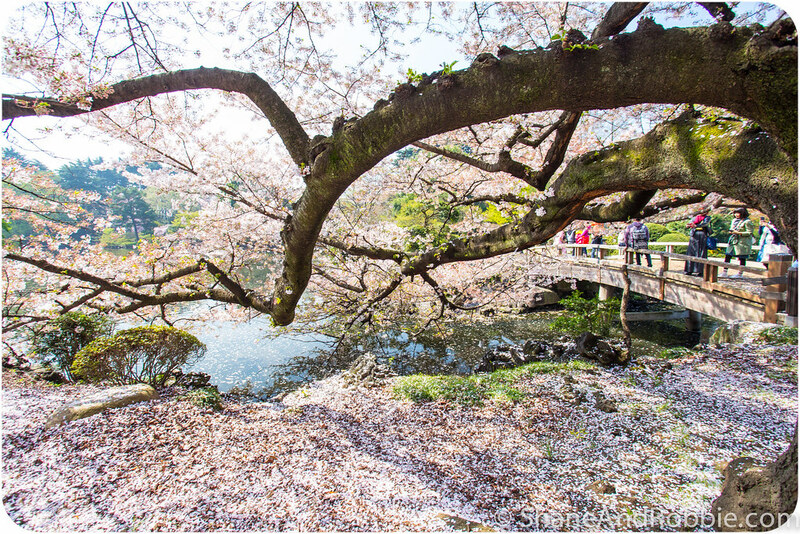 There are over 400 cherry trees in Shinjuku-gyoen, with more than a dozen varieties laid across the 144 acres. 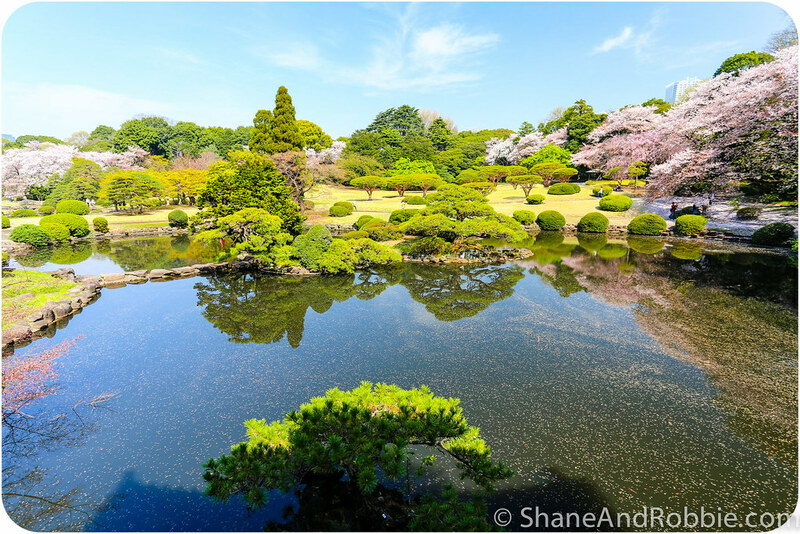 It’s an incredible park, originally established in 1865 as a residential garden for a feudal lord of the Edo Period. 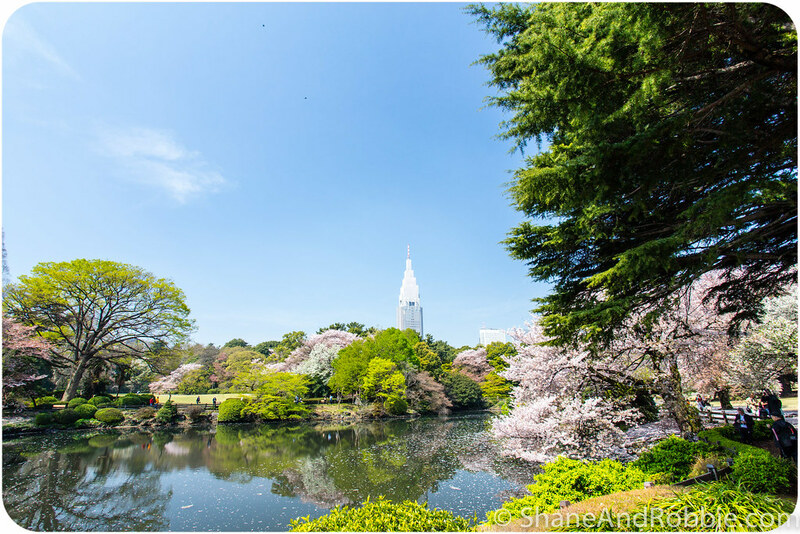 It became a public park in 1949 and today it is one of Tokyo’s most popular public gardens and a favourite spot amongst spring time flower-spotters. 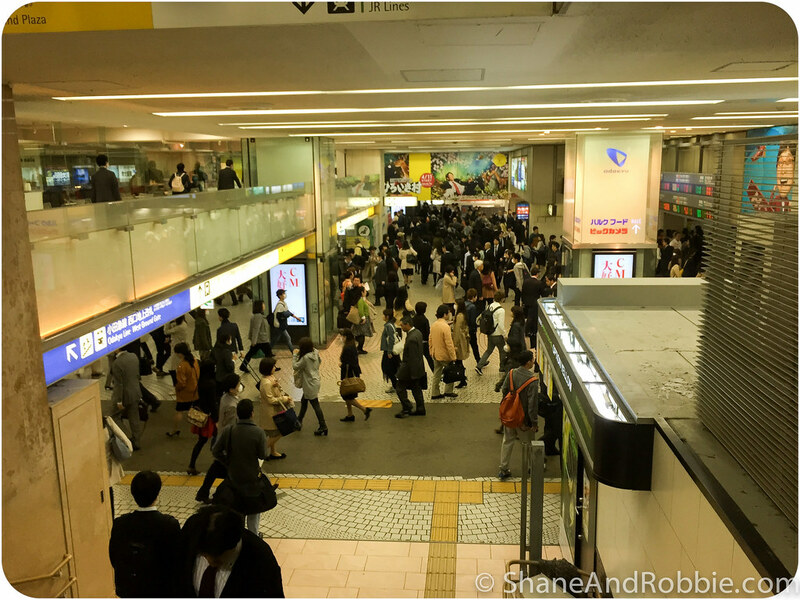 There were crowds of photographers, both Japanese and gaijin (i.e. 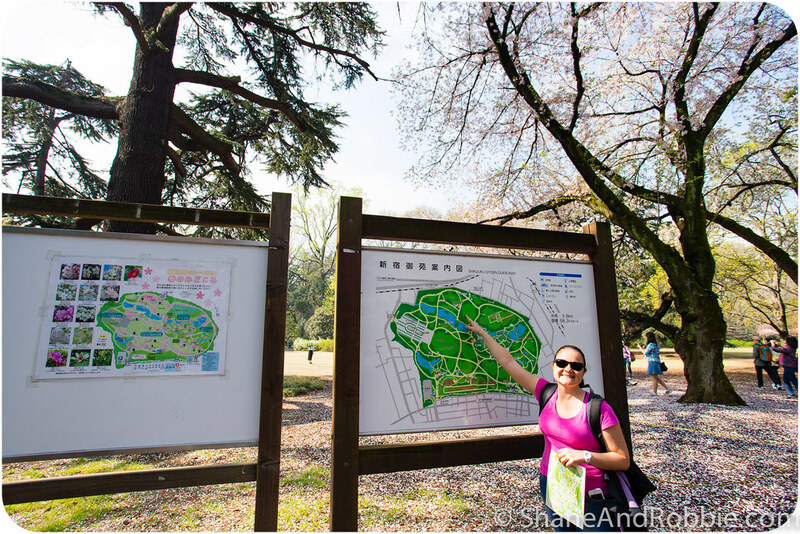 foreigners), in the park today, but it was still easy to find quiet corners from which to enjoy our hanami experience. 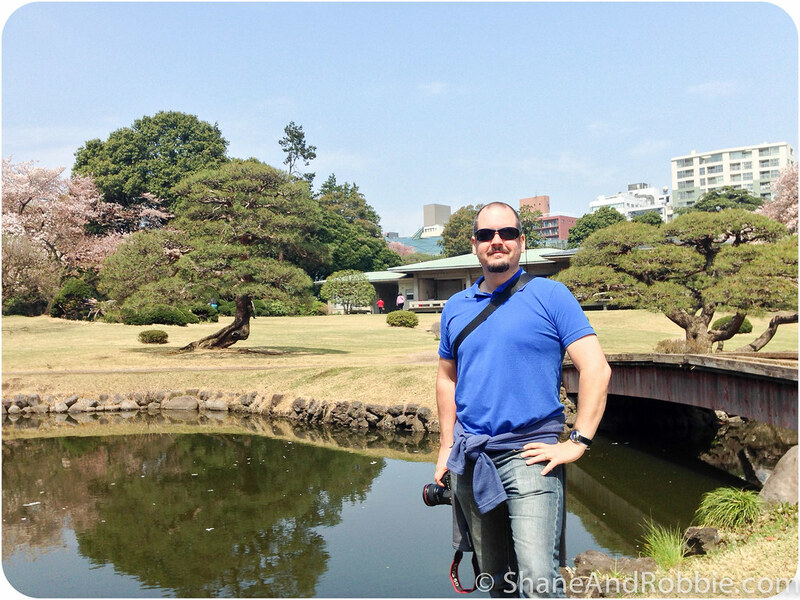 From Shinjuku-gyoen we wandered back towards the centre of Shinjuku to refuel (there’s only so much beauty and wonder you can take on an empty stomach). We had lunch in a tiny, basement izayaka (i.e. 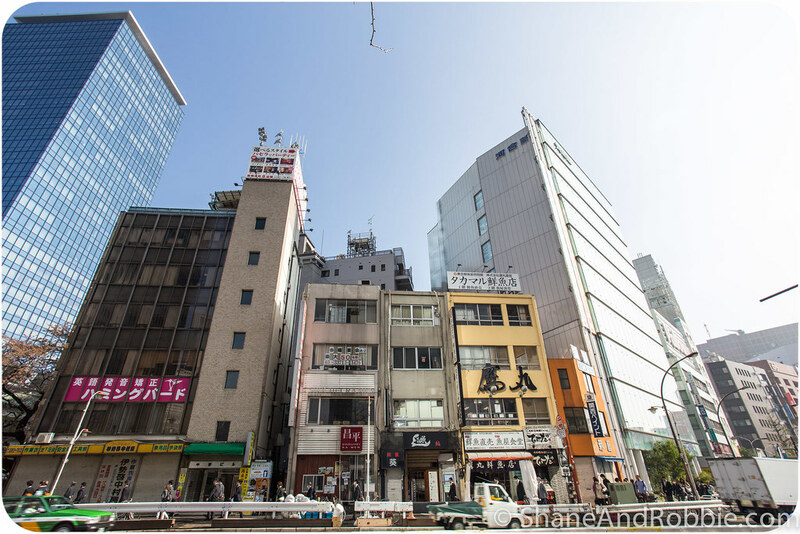 Japanese pub) and then spent our afternoon strolling through Shinjuku, admiring the Tokyo cityscape and refamiliarising ourselves with all the nuances that come with navigating our way through Japan. After many miles of wandering, we’re back in our hotel pondering where to go tomorrow for more sights and splendours.